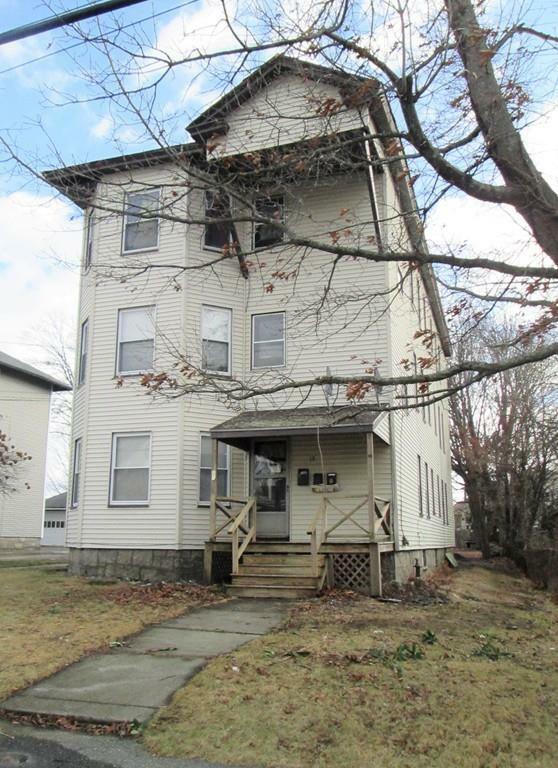 A RARE 3 Family home on a quiet desirable street in downtown Historic Millbury! ALL OFFERS TO BE PRESENTED BY THURS. 1-17-19 AT 2PM. Maintenance free vinyl sided exterior with Vinyl Windows, with an updated/repaired slate roof and chimney, new Bulkhead (2018). A 3 car garage, needing TLC, with plenty of off-street parking, on a flat common area backyard lot. Interior units are all 3 bedroom, 1475+ sq.ft per unit with Victorian Architectural detailing, columns and bow windows, and built-ins. Updates include electrical, individually metered gas heating and hot water heaters, 2012 Buderus furnace for first floor, & laundry hookups on each floor! All tenants are paying below market pricing and this property is priced to sell, so Seller requests that any Inspections be for informational purposes only. Great for the Investor or Owner occupant for this solid home! The 1st floor been Section 8 approved! Close to all major routes, Mass Pike, Routes 290. 395, 20, & 9. Don't miss this one!